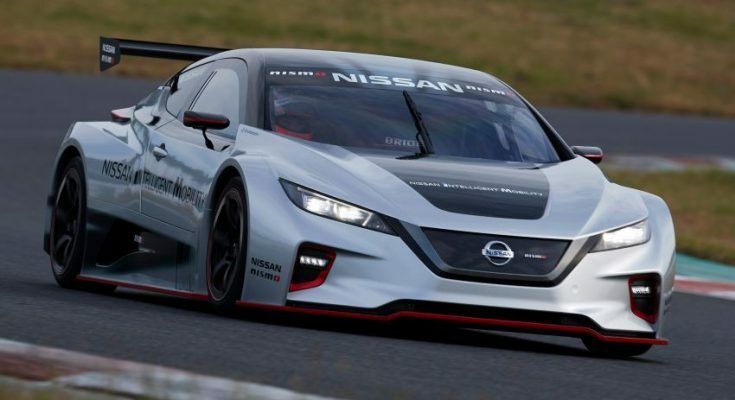 Nissan Leaf may not be the first thing that comes to mind when you think of a race car, but the electric hatchback has long had a racing version in the form of the Leaf Nismo RC. 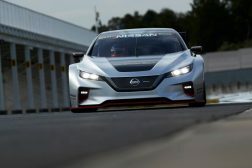 Now the Japanese automaker has unveiled the second-generation Leaf Nismo RC in Tokyo with more than twice the horsepower compared to its predecessor. 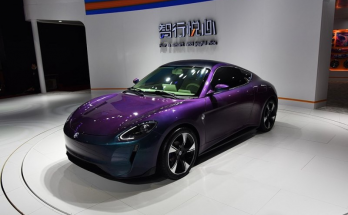 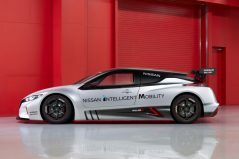 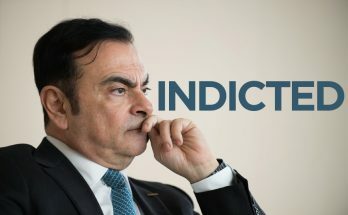 Nissan says that the vehicle is equipped with “advanced battery technology and drivetrain components from the Nissan Leaf.” According to the Nissan, the modified drivetrain gets two electric motors that produce 240 kilowatts combined (120 kW each) and 640 Nm of instant torque to the wheels. 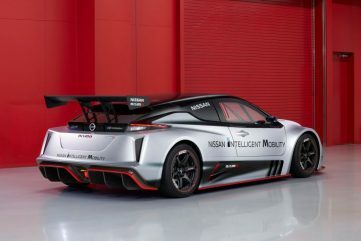 That’s more than double the maximum power and the torque output of the previous generation Nismo RC. 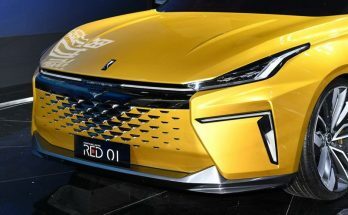 And because the motors power both axles, there’s all-wheel drive for the first time, with real torque vectoring to provide the optimum amount of torque to each wheel. 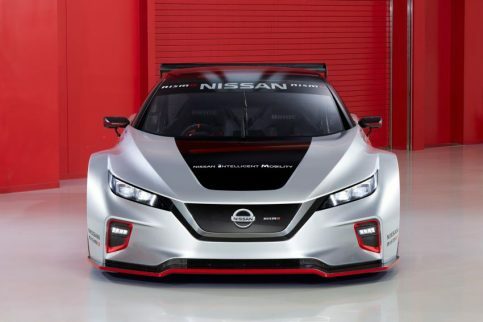 The lithium-ion battery sourced from the actual Leaf, is placed low in the middle of the car for the best weight balance. 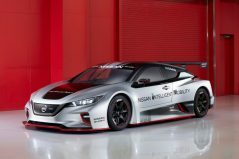 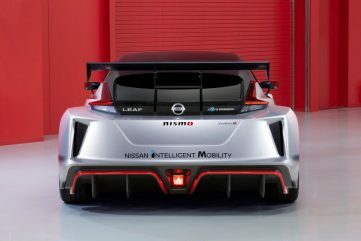 Nissan has made the new Leaf Nismo RC with lightweight components and a full carbon-fiber racing monocoque structure, allowing it to weigh just 1,220 kg, which is almost 340 kg lighter than the first gen. Nissan says that the improved power-to-weight ratio results in an impressive performance of 0 to 100 km/h in just 3.4 seconds, half of the time it took the previous version. 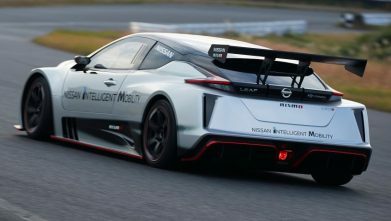 While the exterior is still recognizably a Leaf, it has been stretched in every way to be meaner and lower to the ground. 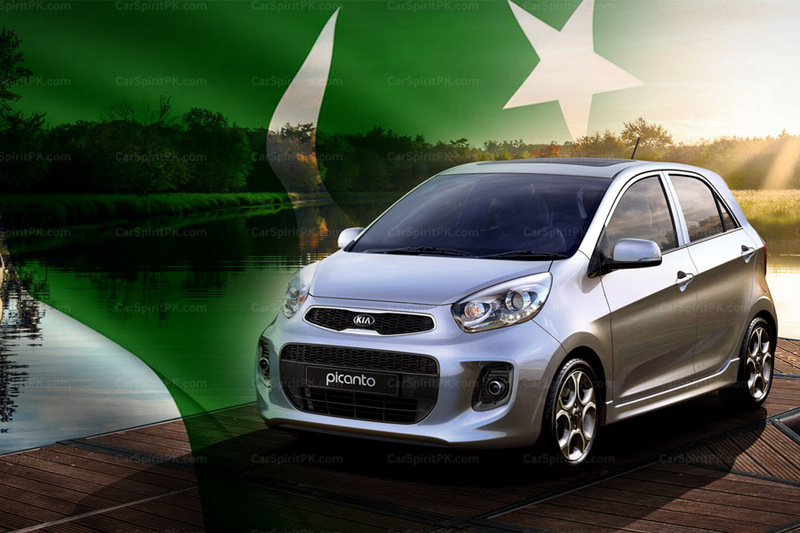 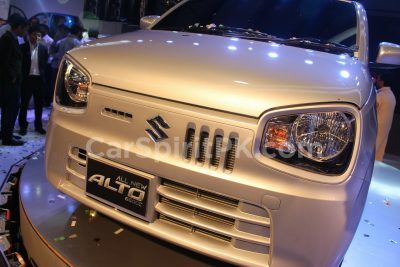 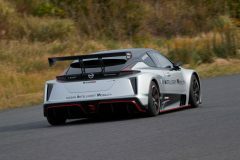 The V-Motion grille, sweptback headlights, floating roof design and boomerang-shaped tail lights are similar to the road car, but there is a longer bonnet and much broader fenders to house the fat slick tires. Plus there is a large front splitter, a sizeable rear diffuser and a massive rear wing. 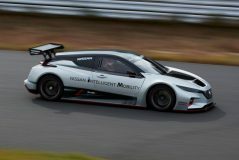 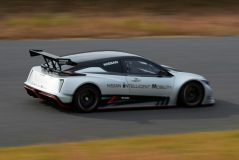 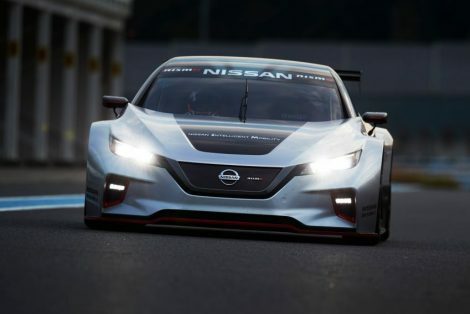 The new Leaf Nismo RC will make its debut at the upcoming Nismo Festival at the Fuji Speedway on 2nd December, where professional drivers will run it at full tilt around the circuit. 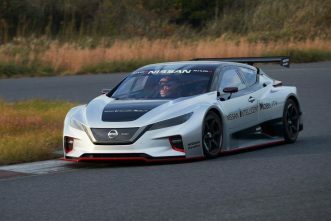 With 6 units destined to be produced, it will also be on display at Formula E races and major shows and events around the world.